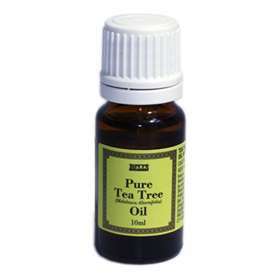 Bell's Pure Tea Tree Oil - A natural product which can be used for a range of conditions. Bell's Pure Tea Tree Oil is a natural product. It is a powerful anti-fungal, antiviral and antiseptic. You can use on spots, fungal nail infections, dandruff, fungal skin conditions, cuts, scrapes, burns, infestations (lice, scabies etc.) and also has some analgesic properties. Natural essential oils are highly concentrated and should be used with caution.